An elaborately finished calf’s leather belt with special and characteristic details. 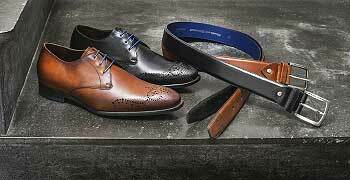 The cognac-coloured belt is adorned brogue perforations. Matches shoe article no. 18075/00.